FOREX.com is one of the world's largest forex brokers. Account holders get competitive pricing, award-winning customer service, actionable data, and powerful trading platforms to help you make the best possible trades. If you’re a resident of South Africa and would like to trade currencies, several online brokers have offices in South Africa and many other foreign brokers will also open accounts for traders who reside in the country. When it comes to overseeing retail forex trading, South Africa has a decent regulatory environment. If you decide to use a foreign broker, do remember to check if it’s also properly regulated in its local jurisdiction. Not all forex brokerages are created equal, so make sure to think about your specific trading needs and make sure any broker you choose meets them before opening a forex trading account. The South African national currency is the South African Rand (ZAR), which is further divided into 100 smaller denominations known as cents. Although the International Monetary Fund (IMF) does not consider the ZAR a common Central Bank reserve currency, according to data compiled by the Bank for International Settlements (BIS), the South African currency ranked as the 20th most-traded of 2016, accounting for one percent of overall forex market activity that year. With respect to the South African financial sector regulation, South Africa has employed a so-called “Twin Peaks” regulatory system since 2017. Since that time, regulation of online forex and contract for difference (CFD) brokers has come under the responsibility of the Financial Sector Conduct Authority (FSCA), an entity that was created to take the place of the Financial Services Board (FSB). Financial institutions need to be authorized by the FSCA before starting to operate in South Africa. The FSCA has been authorized to ensure that regulated entities obey relevant laws and fulfill capital adequacy requirements to support their financial soundness and protect traders and investors. Brokers with local licenses must keep all client funds segregated and in a recognized bank in South Africa. When it comes to forex trading, South Africa is an increasingly popular locale for forex brokers due to its rapidly growing economy as one of the most developed countries in Africa, as well as strong demand for financial services and less strict regulation. South Africa has a few locally-based online brokers licensed by the FSCA, such as BlackStone Futures and Khwezi Trade, although the more reputable international forex brokers who have opened offices in South Africa will typically offer a better service. Remember that if you do want to trade via a foreign forex broker, it should be reputable and overseen by one or more regulators where its main operations are situated. Keep in mind that the type of trading software a broker supports is vitally important as well. Many online brokers have their own proprietary trading platforms they let clients use, and some also support third-party platforms like the popular MetaTrader 4 and 5 platforms from MetaQuotes. When seeking a decent online forex broker to trade through from South Africa, the list of well-regulated brokers shown below provide a good place to start. These include online brokers or banks with a South African presence like FxPro, FXTM, FXCM and Saxo Bank, in addition to well-regulated foreign brokers that accept South African clients, such as FOREX.com, for example. If you prefer to do business in a language other than English, you might want to choose a broker with a website that translates into your preferred language. The broker should also have a customer service staff member fluent in that language. Select a broker that has established a South African office and is regulated by the FSCA because these brokers tend to act more responsibly toward locals since they can be sued in South Africa. Litigating against a foreign company can be a challenge, and it can easily involve extra time and cost to pursue justice if you feel that it’s necessary. Finding the best forex broker for your needs usually depends on your particular situation. South African residents can open up an account with each top forex broker below, so review what your trading requirements are and check out the various options before you choose a broker. FOREX.com is the leading U.S. forex broker based on client assets and is well-regulated by the NFA and CFTC in the United States. It is also regulated in the U.K., Japan, Australia, Singapore, Hong Kong, Canada, and the Cayman Islands. Opening a trading account at FOREX.com requires just $250, and you can trade micro lots through this broker if you wish to deal in smaller trading sizes. The broker keeps client funds segregated from its own and it also offers an Islamic account option for clients. FOREX.com has several desktop, web-based and mobile trading platforms that include the highly popular MetaTrader 4 and 5 platforms from MetaQuotes, as well as NinjaTrader. Traders can also access its proprietary Advanced Trading Platform for desktop computers and its Web Trading platform that lets you trade using an Internet browser. FOREX.com has a rather low (though safe) maximum leverage ratio of just 50:1 for forex clients. Provides clients with payment options such as bank transfers, debit cards, credit cards, PayPal, Skrill, Neteller, and Union Pay. FXPro provides a pure No Dealing Desk (NDD) service and has offices in South Africa as well as in Cyprus, the U.K. and the UAE. FXPro submits to regulation under the FSCA, as well as the Cyprus Securities and Exchange Commission (CySEC), the U.K.’s Financial Conduct Authority (FCA), and the Dubai Financial Services Authority (DFSA). The broker also provides negative balance protection. FXPro requires a minimum deposit of $100 to open an account and offers Islamic accounts. It also lets you trade micro lots, just in case you require that flexibility. In addition, FXPro supports popular third-party trading platforms like cTrader and the ever-popular MetaTrader 4 and 5. It also has its own FxPro Markets platform, and FXPro makes mobile, desktop and web-based possible for clients. FXPro allows you to use leverage of up to 500:1 on as much as 100 open lots when trading forex, although smaller ratios apply if you have larger open lot sizes. Try demo trading with FXTM, with a risk free account of $1,000,000. 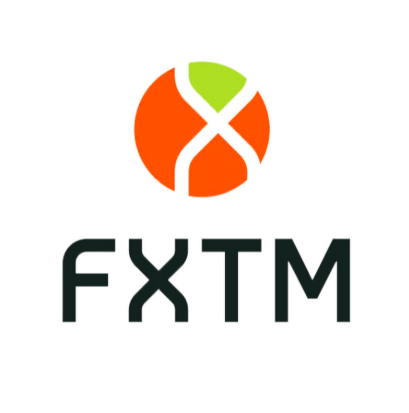 FXTM accepts clients from South Africa and is overseen by the FSCA, as well as Cyprus’ CySEC and the U.K.’s FCA. This broker has won several awards, features excellent customer service and offers a wide range of educational resources for those traders with less experience. FXTM supports the popular MetaTrader 4 and 5 trading platforms for mobile, desktop and web-based trading. In addition, the broker offers more than 240 different tradeable assets, including CFDs and cryptocurrencies. You can open an account with FXTM for as little as $5 USD, and the broker offers leverage of up to 1,000:1 on forex currency pair trades. The broker is one of the fastest-growing in the industry and could be a good choice for any level trader. Trade Forex 24 hours a day and 5 days a week with commission-free micro CFDs. Start your account now, with $50. 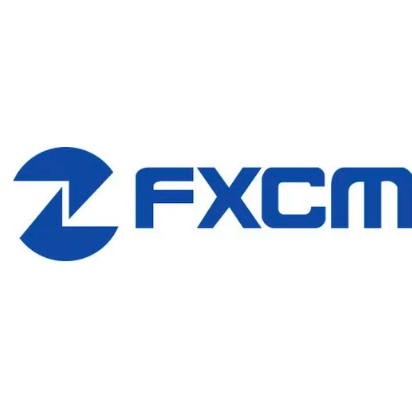 A well-established forex broker, FXCM has offices in South Africa, as well as in the U.K. and Australia, so it submits to regulation under South Africa’s FSCA, the U.K.’s FCA and Australia’s ASIC. You can fund a trading account at FXCM with just $50, and it even lets you trade in micro lots, so you can start small. For greater security, FXCM keeps client money segregated from its own funds. FXCM supports currency trading using the MetaTrader 4, NinjaTrader and Trading Station platforms, and it even has a copy trading feature you can access via ZuluTrade’s web platform. Desktop, web-based and mobile trading platforms are offered to cater to just about every need. Note that the up to 400:1 leverage FXCM Australia lets clients use on forex trades is much greater leverage than FXCM U.K. allows. Trade with SaxoTraderGO, a platform designed for most traders and investors, or SaxoTraderPRO for professional traders. 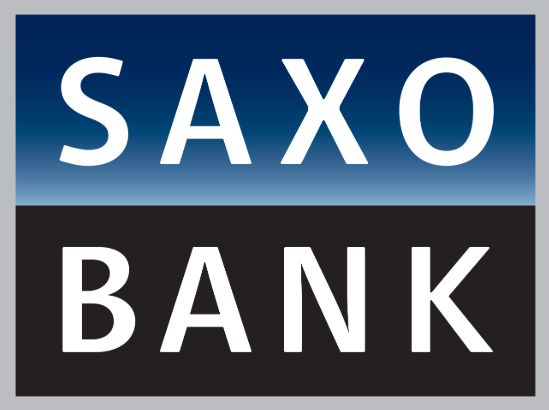 Saxo Bank is a private bank based in Copenhagen, Denmark, so it is subject to the European Union’s strict MiFID guidelines. As an online broker, the well-regulated bank also submits to regulation under the Danish Financial Supervisory Authority (DFSA) as well as under South Africa’s FSCA, among various other regulatory bodies. Saxo Bank’s proprietary trading platforms are called SaxoTraderPRO and SaxoTraderGO, but it does not currently support the popular MetaTrader 4/5 platform from MetaQuotes, which could make the broker untenable for many traders. Saxo Bank offers a trading service in more than 30,000 instruments that include currency pairs, binary options, stocks, CFDs, futures and bonds via its proprietary platforms. The bank does, however, require a very high initial deposit of at least $10,000 to fund a live trading account, so that may not be an affordable option for some retail traders in South Africa. The leverage offered by Saxo Bank for forex trading is fairly low, at just 100:1. If you live in South Africa, selecting a well-regulated broker that keeps client funds segregated from its own and deposits them with a major bank makes sense. Some advantages do exist if the broker is regulated locally by the FSCA, although agencies like the NFA and CFTC in the U.S. and the FCA in the U.K. also provide strong oversight if you prefer to trade via a foreign broker. Although dealing spreads and slippage are important considerations, probably the most crucial thing to keep in mind when choosing a forex broker is if you can trust the broker with your margin deposit and whether it will send you any trading gains promptly. Take some time to research the broker’s client reputation ratings and make sure to avoid brokers with a pattern of leaving account holders’ issues unresolved.